As with all sciences, arboriculture is constantly advancing with new research and practices resulting in developments at all levels. Whatever stage you are at, there are a wealth of opportunities available to help you reach arboricultural excellence and to achieve higher levels of knowledge and skill. If you are on the tools and are looking to put your current practical knowledge in to theory, then there are a variety of options available depending on your preferred mode of study. If you're looking to study part time or via distance learning one of the best qualifications you could look at is the ABC Level 2 Certificate/Diploma in Arboriculture. If you have more time to dedicate to studying or are looking for a longer course of study, then take a look at the C&G or BTEC Level 3 Certificates/Diplomas. Once you have gained your level 2 or level 3 qualifications or have been assessed as having the required experience to take the higher level of qualification the next step might be the ABC Level 4 Certificate in Arboriculture followed by the ABC Level 4 Diploma in Arboriculture. This would start to move you into the consultancy side of Arboriculture or the role of a Local Authority officer. If you have a level 3 qualification you might find you can skip level 4 entirely and move straight to a level 5 course. If you are an Arboricultural Association member a technical officer can help you and many of the organisations in our Training Provider Directory can provide advice on the best route for you. Many institutions offer Level 5 qualifications, such as a HND or FdSc Arboriculture, which provide the arboricultural knowledge and skills to secure consultancy and management roles such as: Arboricultural Consultant, Arboricultural Contracts Manager, Local Authority Tree Officer, Environmental Advisor, Researcher. 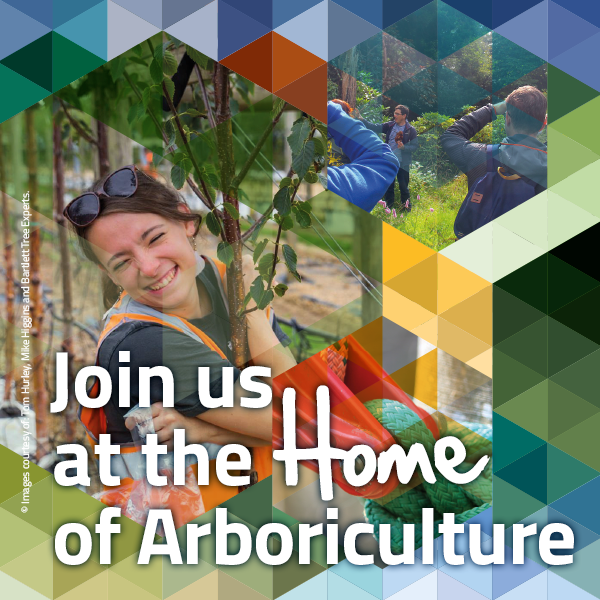 There are two key routes for Level 6 qualifications in Arboriculture: BSc Arboriculture, delivered part-time or full-time via college or university; or the newer ABC Level 6 Professional Diploma in Arboriculture, often offered via distance learning and part-time study. Both are sought after qualifications with only the best achieving them, giving qualification holders from either route a prestigious place in our industry. Candidates applying for either Level 6 option will preferably have completed the Level 3 Technician's Certificate in Arboriculture (NQF), BTEC or CG Level 3 Diplomas or the current ABC Level 4 Diploma in Arboriculture (QCF). For those who want to go even further there are also a range of post-graduate diplomas and even MSc courses in Arboriculture available at universities across the UK. Level 5 & 6 qualifications give you access to becoming a professional member of the industry's Professional Bodies, such as the Arboricultural Association (AA) and the Institute of Chartered Foresters (ICF), showing that you have reached the pinnacle of your profession. The Arboricultural Association and other providers also offer Training Courses to aid your professional advancement. Some qualifications, such as Professional Tree Inspection can result in certification. Gaining additional qualifications can both progress your career while proving very rewarding and provide access and insight into interesting work that not all arborists get the chance to undertake. At Level 7 (MSc level) you can also apply for accreditation and recognition from the Society for the Environment, becoming a Chartered Environmentalist.